Thegreenveggie took a trip to Bristol this weekend and had the chance to sample some authentic Turkish cooking at Ezo Turkish Restaurant, which is located on the bohemian Gloucester Road in St Andrews. After being chided for not booking a table (the waiter was half-joking, but he did give us a stern lecture!) we were seated at a table right in front of the open kitchen, where we could watch the two chefs hard at work over the grill. Turkish cuisine is probably best known for its grilled meats, but the menu presented an impressive array of vegetarian options. In fact, with dishes like red lentil soup, feta and spinach filo parcels and grilled halloumi, deciding on a starter (or meze) proved tricky. 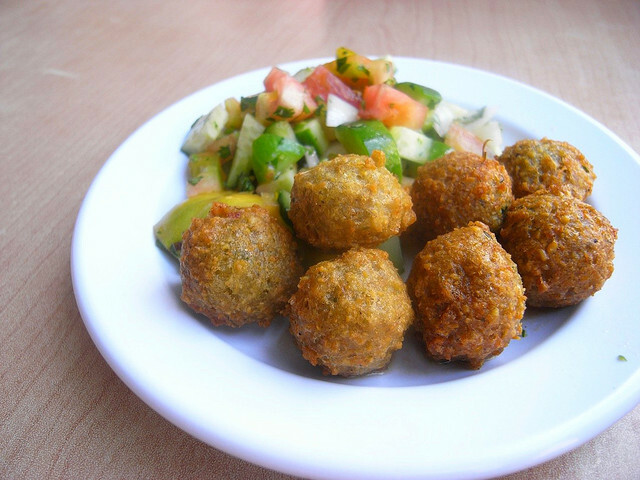 Having seen the size of the main courses, my guest and I decided to share a plate of falafel (fritters made from chick peas, beans and spices). These were carefully presented on a bed of fresh salad and were accompanied by delicate swirls of homous. The falafel were perfectly cooked – crispy on the outside and soft on the inside, with subtle hints of coriander and cumin really enhancing the flavours. This was complemented well by the mild garlic tones of the homous. The menu provided less choice for the main course, with all of the dishes from the barbecue strictly ruled out for vegetarians. However, there were three suitable oven-baked dishes, including vegetable turlu (a kind of stew) and mixed roast vegetables. I decided to try the musakka, which was made from potatoes and aubergines in white sauce, topped with feta cheese. From our vantage point, I could see the chef produce a steaming ceramic dish from the oven, and the waiter immediately brought it to our table. There was slightly too much cheese for my liking, which made the top greasy, but the roasted aubergine, which can so often be tough and chewy, was beautifully tender and infused with rich flavours of garlic, black pepper and olive oil. We didn’t try a dessert, but the baklava (layers of filo pastry with syrup and chopped nuts) looked delicious. Definitely a reason to go back! The meal was good value for money, with most starters priced at £3.95, mains at £9.95 and desserts at £3.80. Lent is supposed to be a time of abstinence. A time when we give up luxury and over-indulgence for a simpler, more meagre way of life. Unfortunately, instead of encouraging me to empty my cupboards of all sugary and fatty foods, Shrove Tuesday just reminds me of how much I like pancakes..! Every year, when tucking into sugar-sprinkled, lemon-drizzled pancakes, I ponder why I only make them on this one, isolated day of the calendar. Feel better about yourself by offsetting the fat and grease with some healthy, fresh fruit! 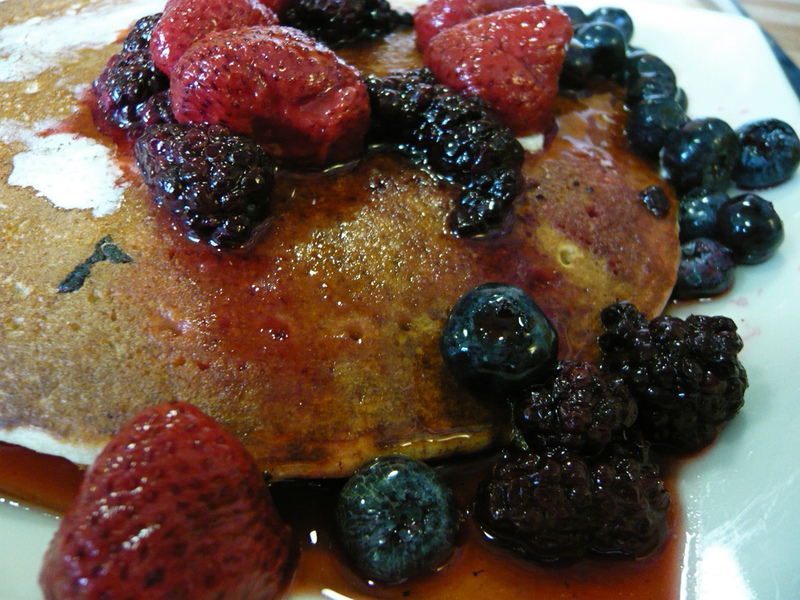 Just sprinkle the berries over the pancake and dust with icing sugar. A naturally sweet combination. Fold chopped banana into the pancake and drizzle with some runny honey. Tasty with a spoon of Greek yoghurt. Caramelise the pear in red wine and sugar and fold into the pancake before grating dark chocolate over the top. Deliciously self-indulgent. Sweet and fruity. Chop fresh strawberries on to the pancake and drizzle with maple syrup. Enjoy with a spoon of vanilla ice cream. The original and the best. It just can’t be beaten. And believe me, I’ve experimented. I’ve gone through the crazy days of banana and nutella, but I always come crawling back to the old favourite. Although controversially, I do quite like to add a squeeze of orange to the lemon juice. Described in the Vegan Wales guide as “the best place in Wales for vegans to eat out,” this restaurant had a lot to live up to. Vegetarian Food Studio looks somewhat unassuming from the outside. Nestled between a printing shop and a newsagent on Penarth Road, it resembles an old-fashioned café, but don’t let looks deceive you. As you walk inside, you’ll notice that the walls are absolutely plastered in awards: The Guardian Food award, the Vegetarian Society Best Restaurant, the South Wales Echo Top Ten Eco-Friendly Restaurants, the list goes on… And this charming, quirky restaurant more than deserves every one of its nominations. The menu is exceptionally varied and, as a vegetarian who is used to having a choice of only one or two suitable dishes on a menu, I found it very difficult to decide what to order! Luckily, the waiters are clearly used to this and have made life easy by creating the Gujarati Thali Special, which lets the inexperienced and the indecisive try a little bit of everything. This was also excellent value, as we were able to try two starters, the curry of the day, rice, daal, rotli, poppadoms and a sweet dish for £5.99. The restaurant doesn’t serve alcohol, but you can bring your own for a £1 corkage charge. The starters were delicious. We had bateta wada (potato fried with coriander and spices) and mixed vegetable petis (crispy potato balls filled with peas and spices.) These were mild and contrasted well with the spicier daal and curry. The curry of the day was corn and patra nu saak, which was sweetcorn cooked in a thick tomato and peanut sauce. This is not something I would have chosen to order, as I couldn’t imagine sweetcorn and peanuts going well together, but in fact, the sweet, salty and spicy flavours thoroughly complemented one another. The daal was spicy and rich in flavours. Mr Patel explained that it is cooked in a traditional curry pot, which allows the rich flavours of the spices and vegetables to infuse. It was served with rotli (flat bread made from wheat flour.) My only complaint was that these were very filling and maybe a bit heavy to be served in addition to the rice. The sweet dish was a gulab jamun, which is a deep-fried dough ball, soaked in sugar syrup. The syrup was sweet and aromatic, with hints of saffron, cardamom and rose-water. All in all, it was a magnificent meal in a warm, friendly setting. Mr Patel takes a genuine interest in every one of his customers, which is shown in the array of gifts displayed on the walls, including an Aussie hat, signed by his first ever Australian customers. 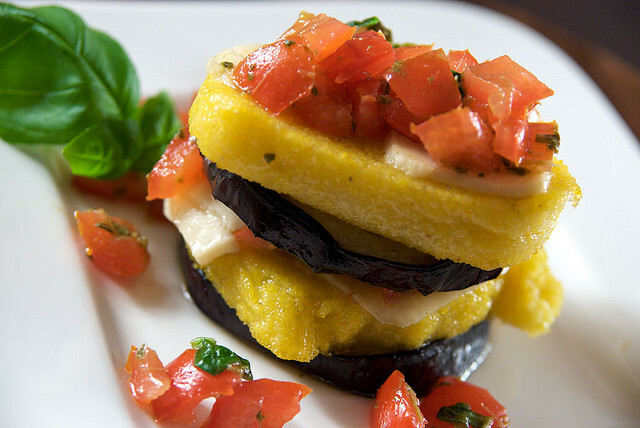 Vegetarian Food Studio has been nominated for the Welsh Curry House of the Year 2012. However, in previous years, they have been unable to win, as they refused to cook meat for the competition. To vote for Vegetarian Food Studio, visit the Welsh Curry House of the Year site. This photo was taken by Aniruddha Sen Gupta and shows Panjim market in India. Here’s a link to more of Aniruddha’s work. If you have a photograph you would like to see featured on the site, please email: thegreenveggie@gmail.com.